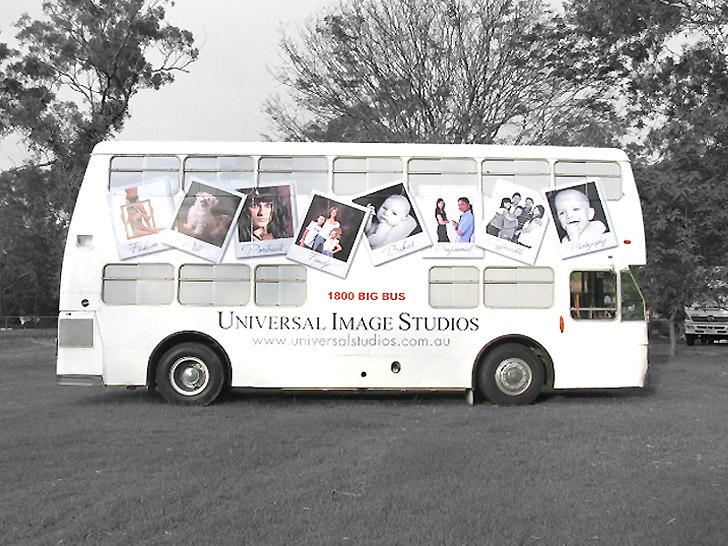 Brisbane based photographers Universal Image Studios approached to design a large format print for their mobile double decker bus studio. 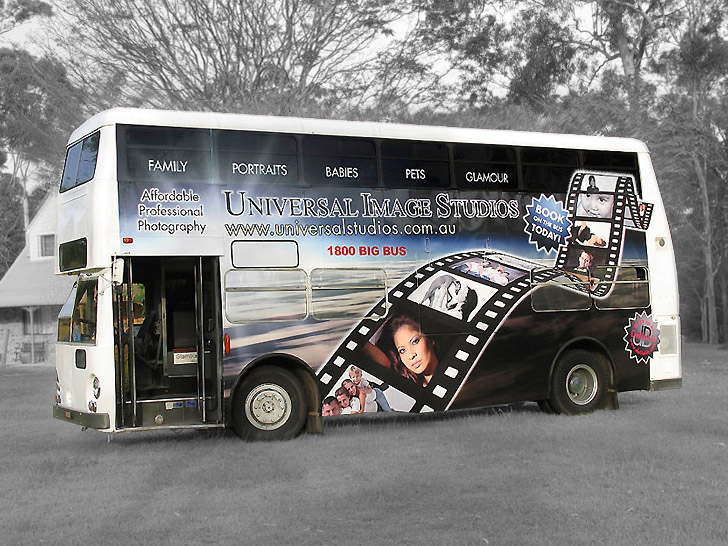 Considering this was their first attempt at vinyl installation they did a fantastic job! Nic at Nice Design was a pleasure to deal with. His ideas are original and of 'stand out' quality.